Sometimes, an ordinary envelope isn't enough but a box is too much. Our Ship-Lite envelopes are ideal for items that need special protection, and they handle everything from important business papers to photographs and books. The secret to our durable packaging is a special poly fiber mesh screen. This unique material reinforces the white paper construction ensuring that our envelopes are six times stronger than ordinary paper. The addition of a moisture resistant outer finish makes these envelopes perfect for safe and secure mailing and shipping. 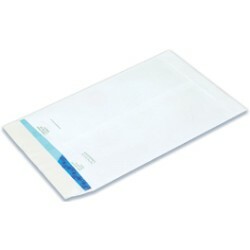 These popular Ship-Lite envelopes are available in nine sizes and three styles to accommodate every need. The flat envelopes cover all standard document dimensions with a fold down flap for secure sealing. Bulky files are easily slipped into the side loading version of this rugged packaging that expands to a generous 2 inches. The top loading envelope also expands to 2 inches, and the entire line is durable and versatile with sizes ranging from 6 inches by 9 inches all the way up to 12 inches by 16 inches. Like all our quality products, the Ship-Lite envelopes come with our satisfaction guarantee. You won't find a better price on comparable envelopes, and we invite you to explore the entire line of shipping and storage solutions that we proudly offer here at eSupplyStore.com. From mailing tubes to warehouse supplies, we're your one-stop shop for staples and hard-to-find items. We offer same day shipping on most orders, so set up an account today, and start saving on thousands of great products.